A folder view is a widget that displays either a directory in the file hierarchy or a set of application launchers. It can display on the entire desktop if you select Configure Desktop > Layout > Folder View, but you can also display as many folder views as you want in windows on a desktop. Setting the layout of a workspace to Folder View displays the folder view on the entire desktop. To add a folder view, select Desktop Toolkit > Add Widgets > Folder View. Each folder view can have its own view of a different file hierarchy directory, as well as its own wallpaper to make it easy to identify. Other folder views can display their own sets of launchers. Using Configure Desktop > Icons, you can arrange the launchers in each folder view by rows or columns, and sort them by several different criteria. Folder Views arrange icons into groups, making them easier to find. Above: A shortcut to the root directory. Below: A collection of icons for graphic work. All Plasma installations have a Desktop Folder, which displays all the icons on a default desktop. 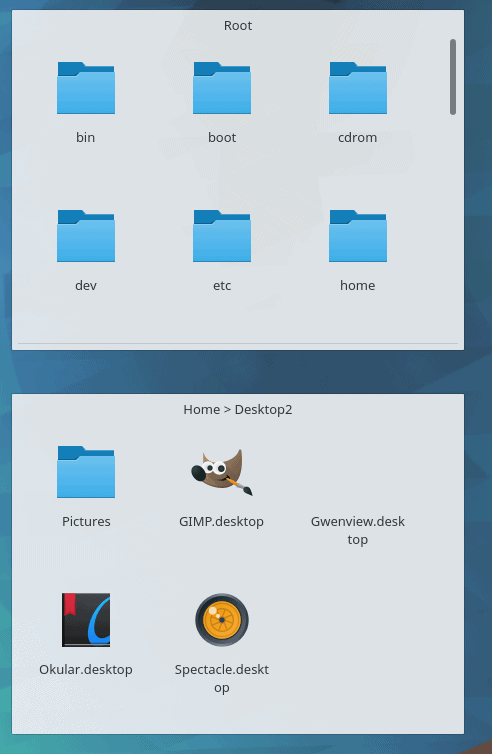 What is less well-known is that you can display different icons containing folders in each folder view; I usually give them names such as Desktop – Graphic. Annoyingly, all but the original Desktop Folder display icons with a .desktop extension, but if you can live with this small glitch, multiple desktop folders are a convenient way to switch easily between icon sets using the Configure Desktop menu. No matter what their contents, you can arrange multiple folder views in orderly rows on the desktop using the Resize button. Using this feature, you can still have dozens of icons on your desk, but, because they are grouped, you can find them easily. If multiple folder views require more customization than you think worth your time, an alternative is to put all your icons on a single desktop, then filter which ones displays according to your current task. To filter icons, set your desktop layout to Folder View, and add all the launchers you want to the desktop. For convenience, you can name each launcher according to a group, so that you have names like Graphics – GIMP and Graphics – Krita, although this step is not necessary. When you have added icons, you can load the ones you want by selecting Filter in the folder view configuration. The Filter pane lets you Display All Files, and either Show Files Matching or Hide Files Matching, both of which allow you to enter space separated lists of file name patterns using regular expressions. If you name files by group, both these options can be an efficient way to choose quickly what launchers display. You may also want to store lists of launchers in Klipper, Plasma’s clipboard so that switching icons becomes even easier. With filters, you can adjust the launchers on a single desktop so that only those relevant to your current task are visible. Filter also lists several dozen which lists several dozen different files types, each with its own checkbox. You can find the file types displays either by using the search field or by scrolling the list. You could, for instance, tick application/xml to show only xml files. The only disadvantage is that the list of different file types appears to have been taken from a non-Linux source, since it contains many types unlikely to be needed by Plasma users, such as Framemaker or Pagemaker files, while omitting Open Document Format. Activities are multiple desktops, each with its own set of launchers. They are by far the easiest way to maintain different sets of launchers. You create Activities by selecting Activities from the desktop tool set. Activities are multiple workspaces, each of which can be customized separately. Each desktop can be either a Desktop or a Folder View. By selecting Desktop for the layout, you can add launchers the way you would to any desktop in any desktop environment. By using Folder View, you can display directories as described above. Each desktop can be organized with the tools for a specific task, such as writing or programming, or else to provide easy access to the files for a specific task. Probably, you will also want to add the Activities Bar widget to the desktop. The Activities Bar displays the name and icon for each enabled Activity, making it a single click away. 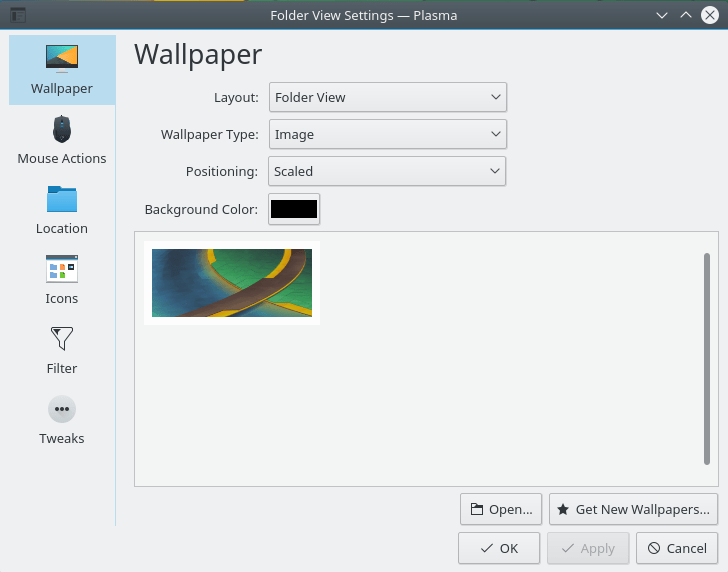 In the Plasma 4 release series, you also had the option of setting virtual workspaces so that each had its own launchers and other customizations. This option was ideal for those who preferred a single desktop, and also had the advantage of the already-existing Pager widget for easy navigation. 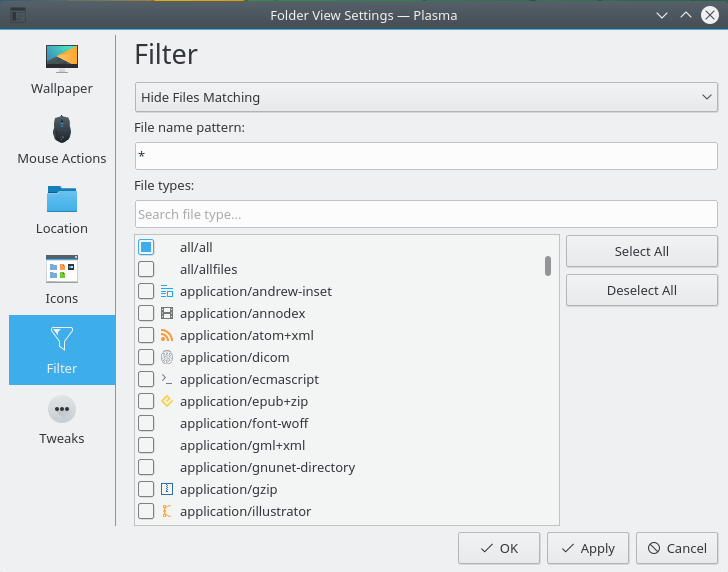 However, so far, Plasma 5 lacks this option, perhaps to make the distinction between Activities and virtual workspaces clearer: Activities are desktops, and contain virtual workspaces. So which of these approaches to swapping launchers works best? To my mind, Activities are the simplest solution, but the choice remains a personal one. Where I find multiple workspaces the easiest for navigation, others might prefer to keep a single desktop with multiple folder views, or to filter applications as their tasks change. Still others may prefer a combination of these tactics. The main disadvantage of these tactics is that all of them require more customization than a classical desktop. However, if you regularly spend eight to twelve hours a day at the keyboard, an extra hour or two a day is a small price to pay for ease of navigation and the resulting efficiency. 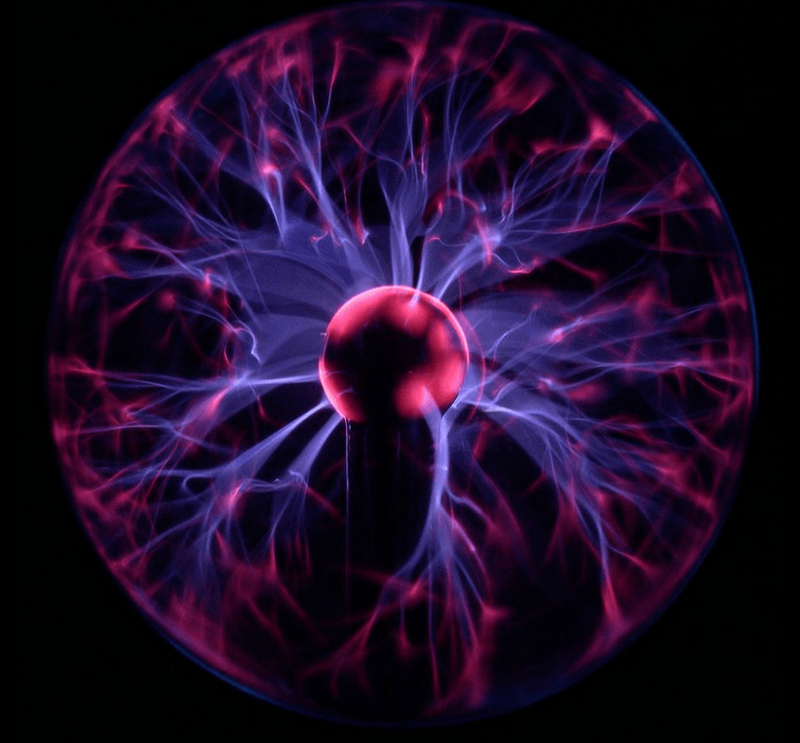 After you have tried these tactics for a while, you will probably wonder why Plasma is the only desktop environment that doesn’t insist on hobbling you with an interface that computing outgrew ages ago.